Look what popped up over the winter. Soooo cute! What an adorable setupo and she is so perfect. 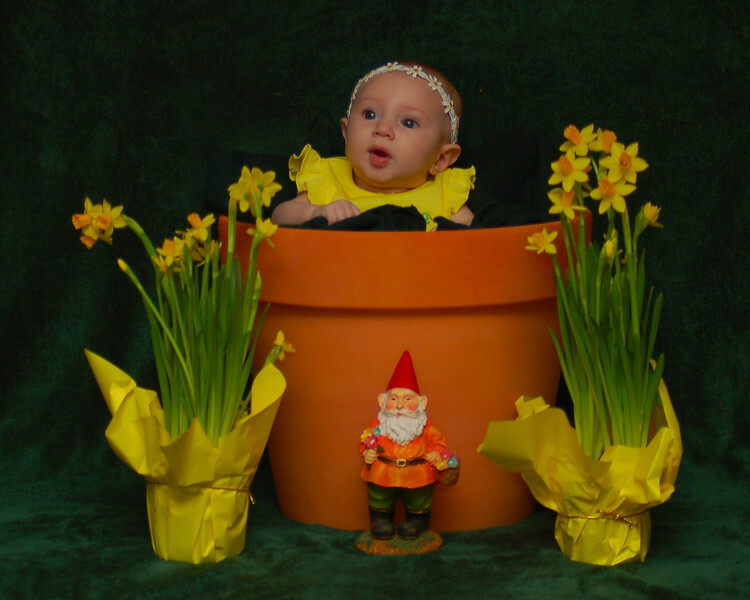 What a cutie...I almost called her a sweetpea, but then again realized no, she is a daffodil for sure here! Oh so sweet...! What a wonderful idea & I love her expression! So cute; she's a doll and I love your setup. Adorable. What a sweet little posey you have here, nicely captured. Hmmm, I wonder if I could grow one of those in my garden? My kids have been asking for a baby. Very cute. A little young for potty training, don't you think? Creative shot of a real cutie. What a cute idea, she looks like a sweet spring flower.